Hilversum Plays! 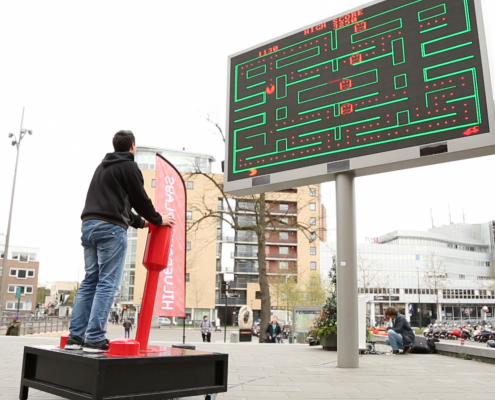 Outdoor-game afternoons at the station of Hilversum! 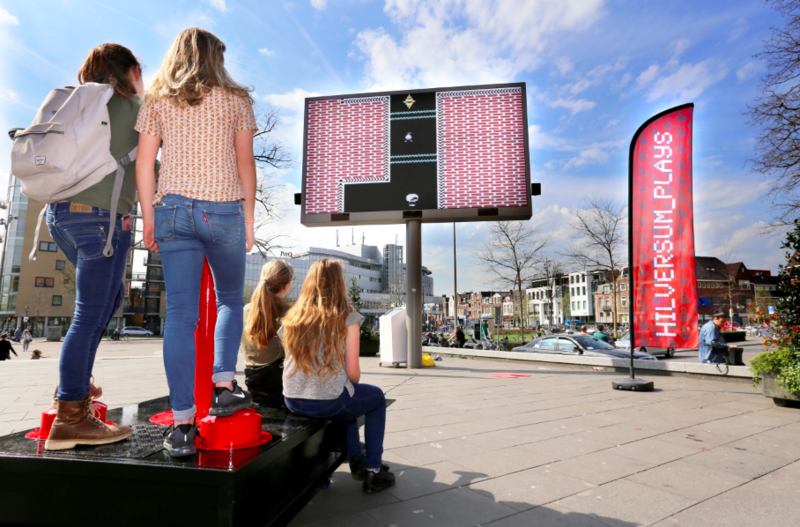 Starting this Spring, all of Hilversum is invited to come & game at the station of Hilversum. 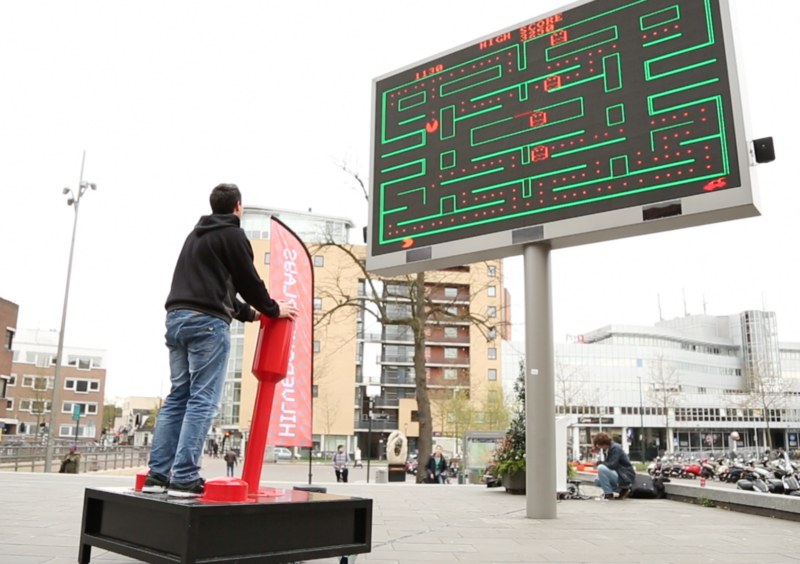 Using the large outdoor public LED-screen, we will transform the stationsquare into a large outdoor gaming zone. Selecting such gaming classics as Jazz JackRabbit or showcasing new gaming talent with the help of iconic figures like Pacman and a large, fully functioning Commodore-joystick. The message is clear: come out & play!